Founded in 1997, the Elbeth Gillis brand has emerged as the preeminent house of bridal and evening couture. 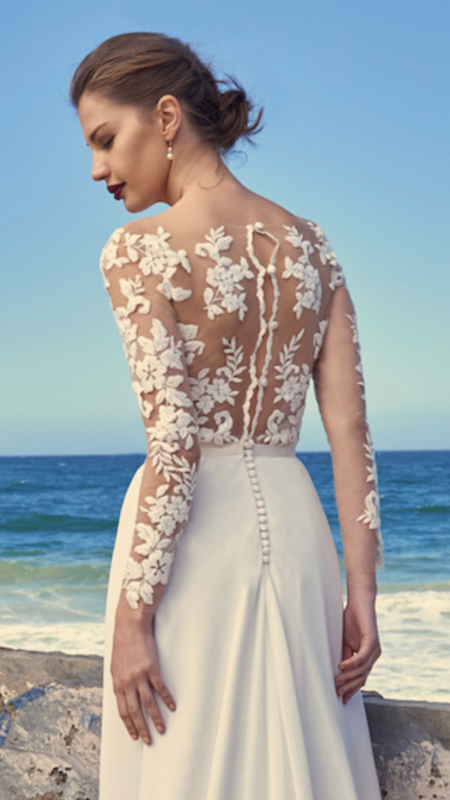 Driven by an unrivaled degree of quality and subtle sensuality, each dress is a journey; from fabrics sourced internationally to original designs to the personal touches, every dress is as unique as the bride who wears it. As the head of her eponymous brand, Elbeth embodies the same virtues that her brides find in their dresses — style, charm, and uncompromising class. With a three-year fashion diploma from The Cape Peninsula University of Technology behind her, as well as more than twenty years experience in the industry, Elbeth’s work is testament to her talent in creating the perfect garment. Each client receives a one on one consultation with Elbeth, whose talented Cape Town team carefully handcrafts each piece, ensuring that it fits the bride perfectly. 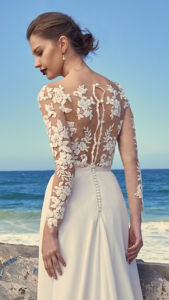 With Elbeth, your wedding or evening gown is more than just a dress — it is the beginning of your special journey, harnessing different elements to create a breathtaking piece to be remembered and cherished forever. Prices range from £1800– £2900.